The processes required by this International Standard that are applicable to the organization, but are not performed by the organization, are the responsibility of the organization and are accounted for in the organization's quality management system by monitoring, maintaining, and controlling the processes. 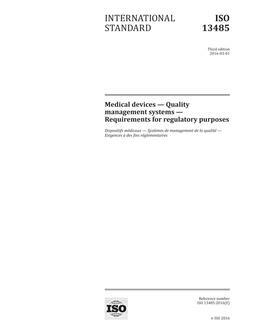 This International Standard is intended to facilitate global alignment of appropriate regulatory requirements for quality management systems applicable to organizations involved in one or more stages of the life-cycle of a medical device. 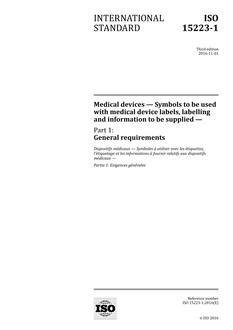 This International Standard includes some particular requirements for organizations involved in the life-cycle of medical devices and excludes some of the requirements of ISO 9001 that are not appropriate as regulatory requirements. 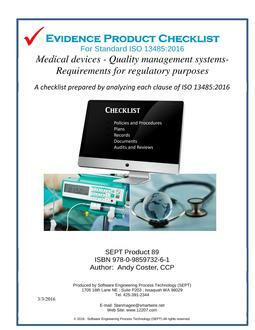 Because of these exclusions, organizations whose quality management systems conform to this International Standard cannot claim conformity to ISO 9001 unless their quality management system meets all the requirements of ISO 9001.